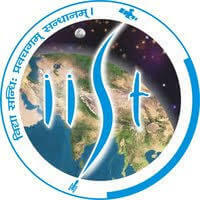 IIST Recruitment 2019 – The Indian Institute of Space Science and Technology (IIST), Thiruvananthapuram, notifications for the post of Junior Research Fellow, Senior Project Fellow, Junior Project Fellow & Technical Assistants. The detailed eligibility and application process are given below. M.Sc in Physics /Astrophysics / Astronomy /Space Science or (ii) B.S /M.S in Physics or equivalent or (iii) M.S in Astronomy & Astrophysics or (iv) B.E/B.Tech / M.E / M.Tech degree (any branch) with UGC-CSIR National Eligibility Test in Physical Sciences or GATE / JEST score in Physics. M.S / M.Sc in Physics /Electronics / Space Physics /Space Sciences or related areas. M.E / M.Tech / M.S by research or equivalent in Electronics/ Communication /Electrical and Electronics/Electronics and Communication /Communication Networks / Telecommunication / Signal Processing / Machine Learning / Computer Science/ Control Systems / System Science / Data Analysis or related areas. Junior Project Fellow (JPF): BE / B.Tech in Electronics or related areas. Age Limit (As on 06.05.2019): Below 35 years (Relaxations as per Government policy). How to apply IIST Recruitment for JRF/SPF/JPF? All interested and eligible candidates can apply for this position in online from 18 April 2019 to 6 May 2019. First class Diploma in Electronics Engineering/ Electronics and Communication Engineering/ Electronics and Telecommunication Engineering/ Electronics and Instrumentation Engineering from a recognized State Board/University. Application and Business Management/Electronics and Communication Engineering or equivalent from a recognized State Board/University. Relaxations as per Government policy. The selection process consists of (1) written test and (2) skill test. The written test will be conducted first and short-listing will be done based on the written test scores and required number of candidates alone shall be called for skill test. Written test will be conducted in such a way that theoretical and practical knowledge of the candidate is tested covering both breadth and depth of the prescribed curriculum. The skill test will be purely on go-no-go basis and marks obtained in the skill test will not be considered for selection. The skill test will be evaluated on a 100 point scale with minimum 60% for qualification. How to apply IIST Recruitment for Technical Assistant?